The following review is for a product called Oxy-Powder. 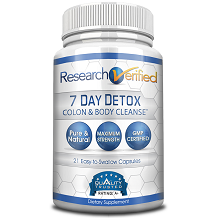 This product claims to be an effective and safe colon cleanser which uses the power of oxygen to gently detoxify and cleanse your entire digestive tract. It claims to relieve gas, bloating and occasional constipation. Elemental Magnesium will stimulate muscle contractions as well as peristalsis throughout the intestine. Magnesium actually got its name from the Greek city Magnesia, a city where lots of magnesium carbonate was found. Originally, magnesium was used as a laxative. Magnesium needs good stomach acid production for its absorption. It is needed when our digestion is compromised. It also hydrates the stool. Citric Acid is an alkalizing agent that helps decrease the levels of acidity found in body fluids. It also binds the excess calcium and allows it to leave the body. Too much calcium in the body can cause constipation, bloating and gas. Oxy-Powder suggests you take 4 capsules with a full glass of water on an empty stomach before bed. So make sure to eat dinner early. If 3-5 bowel movements do not occur by the next day, the serving size should be increased by 2 capsules every night until 3-5 bowel movements per day is achieved. This amount should be continued for 5 more days. For maintenance, your serving size should be taken 2-3 times weekly or as desired. Serving size is 4 and there are 30 servings per container making it 120 capsules per bottle. This product warns to keep out of reach of children and also to consult with your healthcare provider if you have a history of cardiac or kidney disease or any additional medical conditions. It is not mentioned on the product itself but research suggests that a product such as this is not 100% safe for pregnant women and nursing women should avoid this too or consult with their doctor beforehand. Oxy-Powder comes with three different buying options. They can all be purchased online. You can purchase 20 capsules for $9.95, 60 capsules for $29.95 and 120 capsules for $46.95. There are 2 different options for the 120 capsules. You can purchase 2 at $44.95 each or 3 at $42.95 each. We find this not to be such a big bargain in comparison to many companies out there that offer huge discounts for multiple purchases. Oxy-Powder offers a 100% no-risk 180-day money back guarantee. 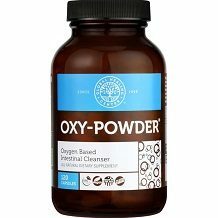 Oxy-Powder offers free shipping costs if the product is returned – only if the products being shipped comes from the U.S. Return requests must be submitted within 180 days of purchase. The guarantee, however, is limited to one return per product per customer. Oxy-Powder seems like a well researched product. The fact that it offers a guarantee is good. We just question the price at $46.95 per 120 capsule bottle in comparison to other products on the market which have a number of different ingredients added to the mix, at a cheaper price.